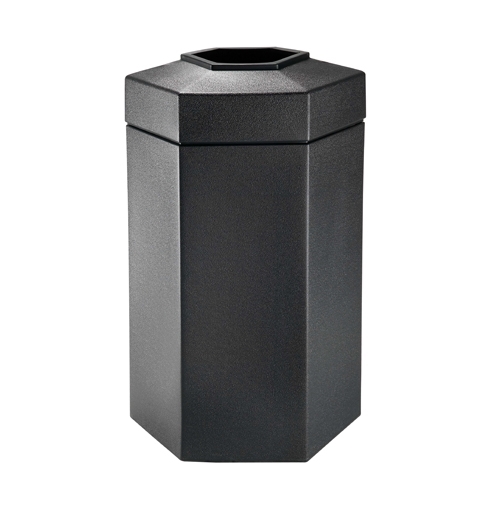 50 Gallon Hexagon Trash Can, Black HDPE Plastic,Portable, 19lbs. 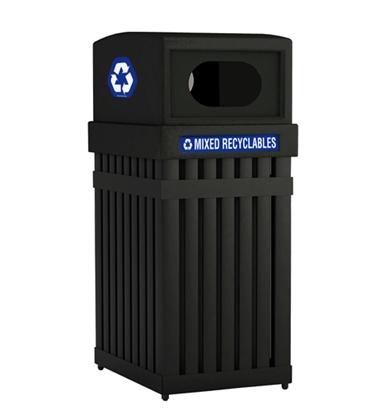 This trash can is constructed of low-molded HDPE plastic and includes pitch-in lift-off lid for easy trash removal and includes a Grab Bag system to secure trash bags in place. Constructed of 50% post-consumer recycled materials made in the USA. 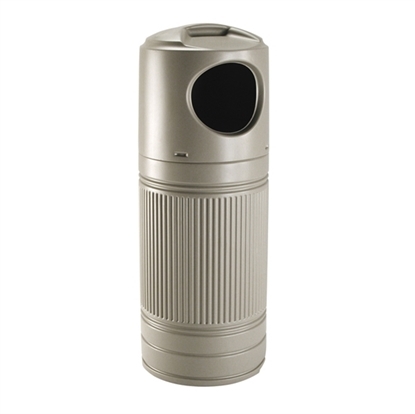 Generous 50 gallon capacity is ideal for high traffic areas in a commercial environment. 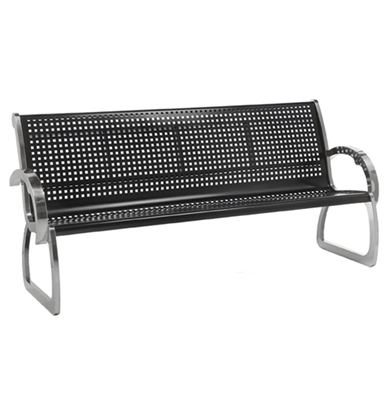 4 Foot Black Powder Coated Stainless Steel Bench with Back, Portable 41 lbs. 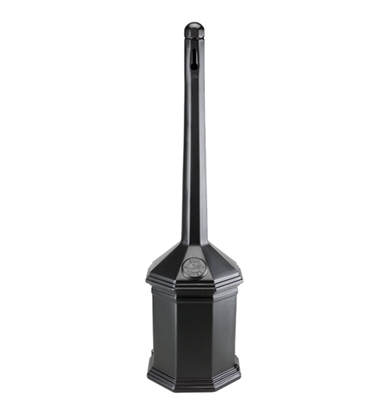 Steel Trash Can / Recycling Receptacle, 25 Gallons, 55 lbs.